Besides Erangel, PUBG also has a large map, Miramar. The Miramar design is adapted from hot deserts in the Mexican region. With different topography and conditions, the fighting strategy is also different from Erangel or Sanhok. Here are 5 weapon recommendations that you can use to conquer the hot desert of Miramar. Simple and powerful, AKM is one of the ideal choices at the beginning of the fight. This weapon has the ability that is quite capable of close range and terrifying damage. What's more, this weapon is quite easy to find in any house. 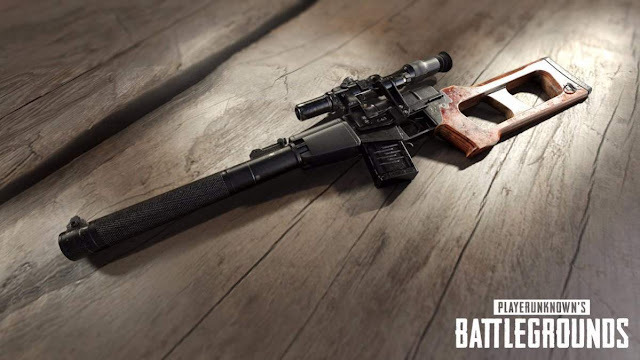 Therefore, this weapon is perfect for those of you who fight in Miramar. Mini 14 can be an option for you DMR lovers or Designated Marksman Rifle. This weapon has a good performance in far and medium combat. This is because of the low recoil. The Mini 14 will turn off if you equip it with x4 or x8 view binoculars. M416 is one assault rifle that you can choose to conquer Miramar. M416 is a very flexible weapon. This weapon has a balanced and suitable performance in medium and close combat. If there is no sniper rifle, this weapon can be an alternative for long distances. You only need to complete it with x4 or x6 binoculars. Mk 14 is one of the strong Markman Rifles to fight at Miramar. This weapon can only be found in the air supply or Airdrops. You must be careful when handling this weapon. Mk 14 does have a high recoil, but it is commensurate with the damage produced. AWM is the strongest weapon in PUBG and is perfect for conquering Miramar. With this sniper rifle, you can penetrate level 3 helmets with one shot. If you play solo, just one AWM shot is enough to overthrow the enemy. This weapon can only be found in Airdrops and is contested by many players. Therefore you must be careful. That's the 5 recommended weapons for the Miramar map. Even so, all weapons still depend on players. So, don't forget to practice! 0 Response to "PUBG Player Must Know Map Miramar Weapon"